Urban Science Adventures! 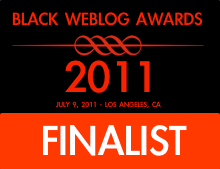 © was nominated for Best Science or Tech Blog again this year. As the sole science blog among the finalist this year, I would love for the blog to win the honor - and justify having separate Science and Tech Categories in the coming years. Many people and readers have reached to me and let me that they have voted already. Thank you, thank you, thank you. For those of you who have yet to vote, today is the last day. 1.Only one ballot is allowed per computer and email address. The ballot is 5 pages long. My blog and category are on page 4 so don't lose heart. I encourage you to vote in every category you wanted to vote in before submitting. A complete list of all finalist for the 38 catergories are here. 2. If you don't see a submit button, try pressing the tab key several times. Winners will be announced live July 9, 2011 in Los Angeles. I will be there for the ceremony. If you would like to co-sponsor my attendance, then please consider making a donation. Any and all contributions are appreciated and give shout outs to my supporters! 4. 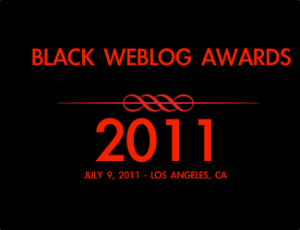 You can attend the Blogging While Brown Conference and the Black Weblog Award Ceremony in Los Angelos, California, too. 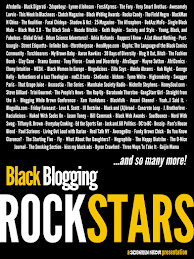 General Admission is open to all of the attendees of the Blogging While Brown Conference. Or purchase VIP tickets to attend the ceremony online. 5. Category sponsorships are available contact lianne@blackweblogawards.com for more information.